Whenever the subject of milk nutrition comes up, calcium is always one of the first arguments used. Most people have a very strongly held belief that the calcium in milk is essential to healthy bones and teeth and that without it, any number of health risks can crop up. This belief comes from generations of dairy industry advertising (dare we call it brainwashing?) that milk is nature's miracle food. This belief is half correct: calcium is indeed a very important part of a healthy diet, but milk is decidedly not the place to get it. Let's look at some reasons why. According to the government (here and here), the calcium content of 8oz of milk is 290mg and the magnesium content is 24mg. If we examine other calcium rich foods (we'll discuss those in a minute), we would see that the ratio for those foods is nearly 1/1, with equal amounts of calcium and magnesium. Indeed, magnesium is an essential part of calcium absorption. Without it, the calcium just passes through, unused. The protein content of milk is the subject of another post, but let's look at it very briefly as it relates to calcium. Milk has been called "liquid meat" because its protein content is so high. In some respects, this can be a good thing, because protein is another important part of a healthy diet. However, protein has a definite affect on calcium. The human body uses calcium reserves to digest protein. So when you eat meat or drink milk, your body is actually pulling calcium out of storage and utilizing it to help digest protein. One study suggested that for every 50mg of protein consumed, 60mg of calcium is used. Other studies have suggested that while calcium is used to digest protein, there is no marked bone loss as a result of a high protein diet. The general consensus seems to be that a person who consumes a high-protein diet should also be sure to consume adequate calcium to prevent calcium loss. 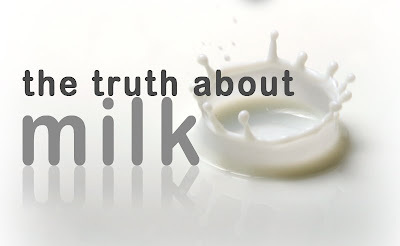 Due to the fact that the vast majority of the calcium in milk is unusable, there is a definite possibility that drinking milk can actually lead to a net loss of calcium. If not milk, then where do we get calcium? The reality is that there are so many calcium-rich foods out there, that it's a wonder milk ever caught on as a calcium source in the first place. For example, the tiny little sesame seed outshines milk by an extreme margin: just one cup contains over 2000mg of calcium and just slightly less magnesium. Almost all nuts and seeds are excellent sources of calcium, as are figs, oats, molasses, prunes, yeast, kale, collards, broccoli, cabbage, asparagus, and pretty much all other green leafy vegetables. As you can see, milk is far from the ideal source of calcium. On the contrary, it is actually one of the least effective calcium sources available and may even further remove calcium from your body. Calcium is so easy to obtain from other dietary sources, that it really is surprising that the dairy industry has managed to entrench its message so deeply. If you look at foreign countries where dairy is a rarity, do you see populations that are dying of osterperosis and calcium deficency? Far from it! We see people who are thriving and have considerably healthier bones than those countries that consume dairy products. Tomorrow we will look at Vitamin D.